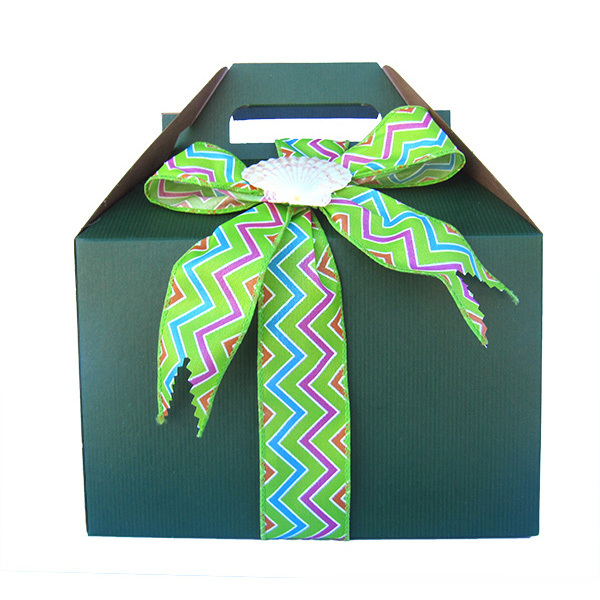 These handsome gable gift boxes are tied with raffia or seasonal ribbon. The small box contains a dozen of freshly baked gourmet cookies with tropical fruits and flavors from our own bakery. No preservatives are used. Delivered locally same day if ordered by 10 am. One of these is included in the Sympathy Gift Basket.